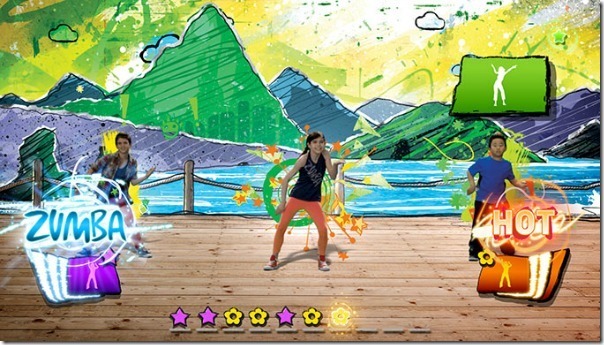 Zumba Kids is the first Zumba game aimed at children ages 7- 12. It’s available for Wii, Wii U and Kinect for Xbox 360. Information below is for the Wii version although most of it is the same. 30 routines with international dance styles: Cumbia, Salsa, Hip-Hop, Reggaeton, Merengue, Sing, Surf, Disco, Ballet, Tahitian and more. In full party mode you dance a block of routines but you also get 3 motion-based mini games: Freeze Star, power Up and Act Like A! Unlockable rewards and custom menus and routines. Dance to hits from Justin Bieber and Willow Smith plus many others. The best part is you get to follow REAL dancers, not some coloured body outlines. If you see HOT you are doing very well and if you see ZUMBA you are on fire! 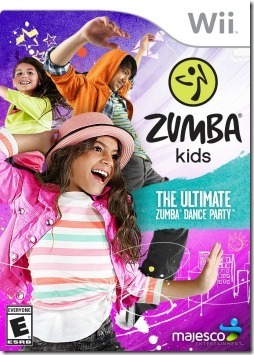 Buy Zumba Kids now for yourself or a friend!